Back in its infancy, St. George’s University School of Medicine was guided forward by Dr. Morris Alpert, a hand surgeon and anatomist with a personality as unique as his expertise. 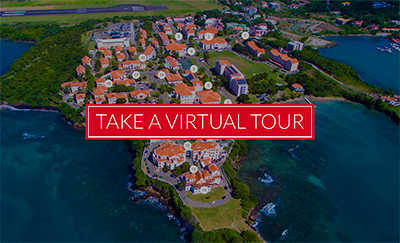 The Founding Dean of Kingstown Medical College (KMC) in St. Vincent and a longtime member of the Board of Trustees for St. George’s University, Dr. Alpert built the foundation for SGU’s clinical studies program, creating a bridge between Grenada and the United States and the world that still exists today. 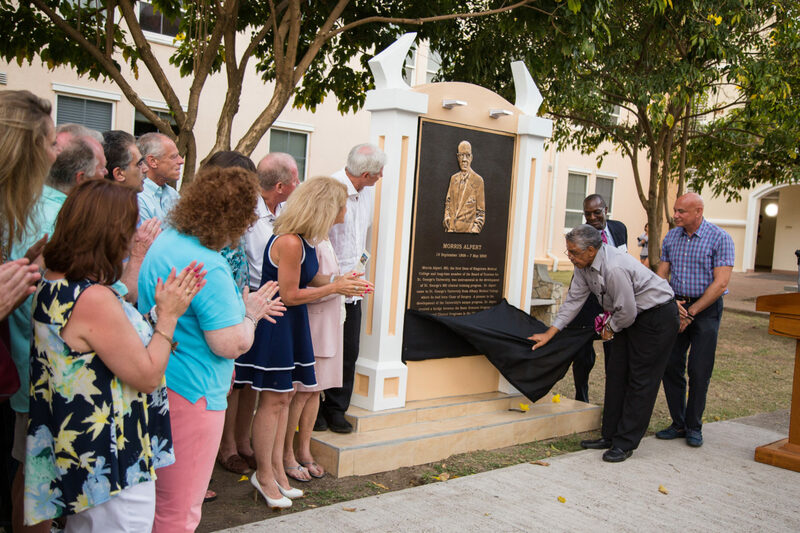 The University honored Dr. Alpert by unveiling a bronze plaque highlighting his accomplishments at a dedication ceremony on March 29 on the True Blue campus. Held outside Morris Alpert Hall, the ceremony was attended by University administrators, faculty, staff, and SOM alumni who knew and enjoyed the company of Dr. Alpert. He came to SGU from Albany Medical College, where he had been Chair of Surgery. Dr. Alpert’s approach of using a modular system with leading specialists from the US, UK, and the world helped transform the School of Medicine in its early years. A member of the 1977 Charter Class, Dr. Emmett Cox II suffered a tragic bike accident early on in his studies at SGU. The first to treat Dr. Cox was Dr. Alpert, who saved his student’s life. Dr. Cox, has since become a successful orthopedic surgeon—and a hand surgeon like his mentor, Dr. Alpert. The bronze plaque is only the most recent way in which St. George’s University has saluted Dr. Alpert’s impactful role in its growth and success. 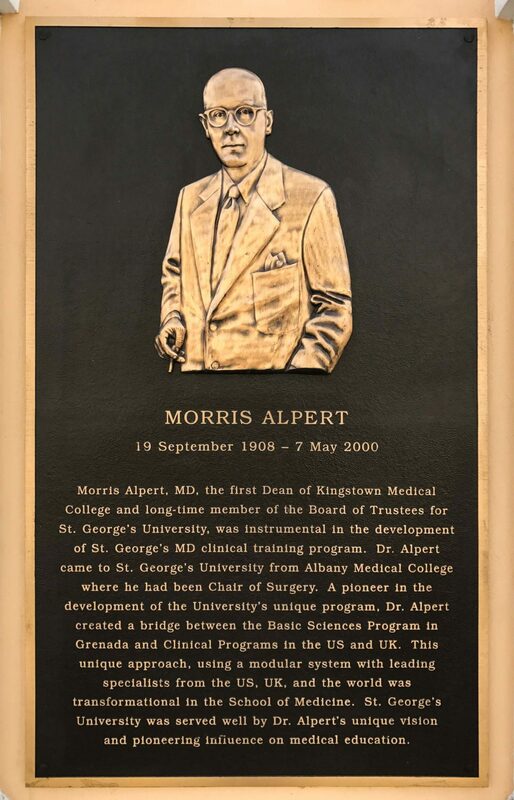 In addition to dedicating the building of Morris Alpert Hall to his memory, the Morris Alpert Scholarships exist in honor of the high moral and ethical standards he set for his students during his tenure on the faculty of St. George’s University. Dr. Alpert’s knowledge, dedication, and enthusiasm exemplified the University’s commitment to taking the practice of medicine to new and unanticipated heights.